The cultural diversity of culinary practice, as illustrated by the variety of regional cuisines, raises the question of whether there are any general patterns that determine the ingredient combinations used in food today or principles that transcend individual tastes and recipes. We first discuss the original flavor network that captures the flavor compounds shared by culinary ingredients, in which Western cuisines show a tendency to use ingredient pairs that share many flavor compounds, supporting the so-called shared compound hypothesis while East Asian cuisines tend to avoid compound sharing ingredients. We then discuss new datasets on food ingredients and flavour compounds, which might help us to further investigate the shared compound hypothesis and in particular possible mechanisms that may underlie it. These datasets include chef-curated flavour pairings, aroma compound concentrations, olfactory detection thresholds, and olfactory receptor responses. Combining concentrations and thresholds allows us to calculate an estimate of the impact of an individual compound in a given ingredient in form of an odour activity value, which tells us whether that compound is relevant to the ingredient’s flavour profile. Using this new, higher-resolution data we confirm the shared compound hypothesis. Furthermore the olfactory receptor responses allow us to consider shared receptors instead of shared compounds, and point to a more general hypothesis of shared olfactory receptors that may underlie our perception of flavour combinations. 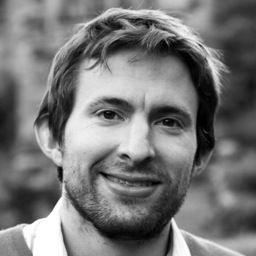 Sebastian Ahnert studied physics and mathematics at the University of Cambridge, where he also completed his PhD in the Theory of Condensed Matter group at the Cavendish Laboratory. During his PhD he became interested in the growing interface between statistical physics and biology and afterwards took up a postdoctoral position at the Institut Curie in Paris. He returned to the Cavendish for a Leverhulme Fellowship, during which he spent six months at Northeastern University in Boston visiting the Barabasi Lab. From 2009-17 he held a Royal Society Fellowship to work on quantitative measures of structural complexity in self-assembling systems, and in 2016 he took up a joint principal investigator position at the Cavendish Laboratory and the Sainsbury Laboratory at Cambridge.